Heidi Peoples | Run S.M.A.R.T. Heidi Peoples Wins Steamtown Marathon – Again! Run SMART coach Heidi Peoples set a new Steamtown Marathon record this past weekend by taking home her 4th title. The 35-year-old Riverside teacher didn’t train for the race’s 20th edition, and didn’t decide to enter until Thursday. But the mother of three utilized her daily training runs to breeze to her record fourth Steamtown Marathon title, winning Sunday’s race from Forest City to Courthouse Square in Scranton in 2 hours, 50 minutes, 34 seconds. When registering for races always look closely at the course maps and elevation changes. Most people incorporate hills into their training to build strength. However, often overlooked are the downhills in races. Most runners assume races that descend more than they ascend will be easier but oftentimes fail to prepare properly. In order to take advantage of a net downhill course your body must be trained for it. 43 is the new 29? 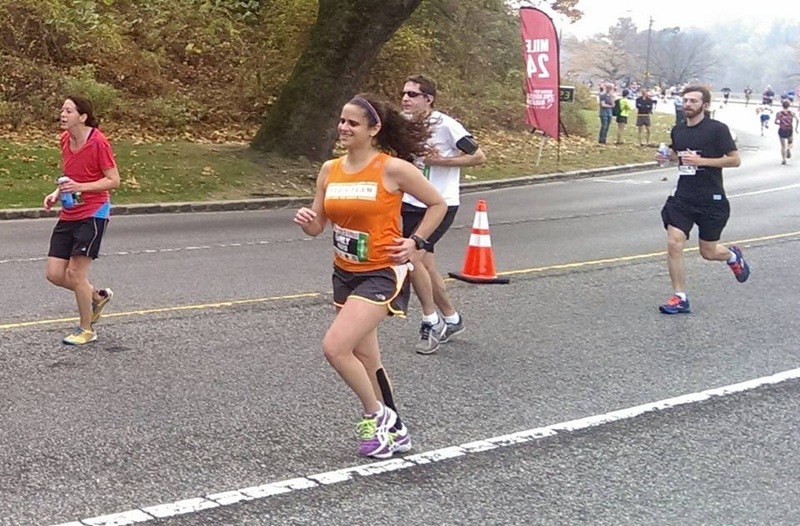 Well, Run SMART client Sara Armbruster is back to running like she did in her 20’s! This morning Heidi Peoples took home the women’s title at the 1st Inaugural Scranton Half Marathon. She finished in 1:17:29 (5:54 per mile). [Full results] This amazing performance comes just 8 weeks after Heidi gave birth to her third child! Say what?!?! It’s also her first race in 14 months…just sayin. Run SMART client Emily Fried of New York, NY set a new PR at the Philadelphia Marathon this past weekend – her second PR in just six weeks! Her official time of 4:05:04 was almost 13 minutes faster than her previous lifetime best set last fall. Emily works with Run SMART coach Heidi Peoples. Run SMART client Chris McKay ran 35:55 at the Brooks Challenge 10k in Perth, Australia. [Full results] His previous best was 36:21. Chris has now set PRs for a half marathon and 10k since signing up for coaching. Congrats, mate! Chris works with Run SMART coach Heidi Peoples. 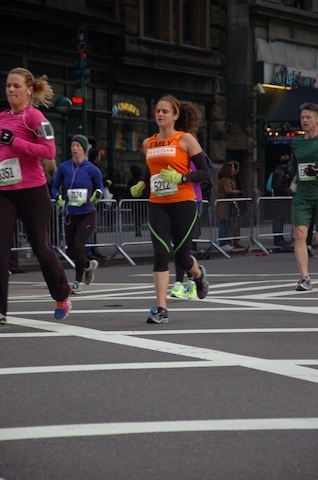 Run SMART client Emily Fried smashed her half marathon PR by running 1:46:48 in the NYC Half Marathon on Sunday. She ran with great inspiration honoring our dear friend Kay Mueller who is currently battling Colorectal Cancer. If you’d like to donate to Emily and Kay’s cause to fight Colorectal Cancer visit Emily’s page. Run SMART client Bill Clugston set his second PR since signing up for private coaching this past September. Last month he dropped 12 minutes off his 10k best and recently had a 2:42 improvement on his 5k time at the Wobble To Gobble 5k in Auburn, WA. Bill works with Run SMART coach Heidi Peoples.